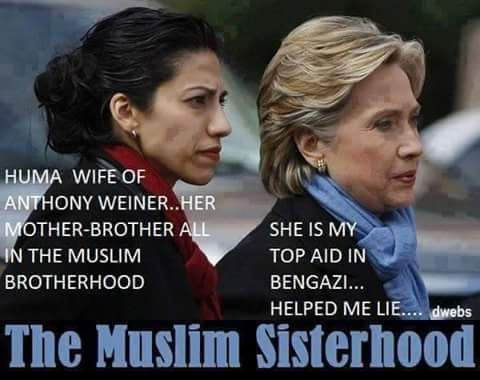 It is reasonable to ask questions about Huma, as she has been Hillary’s top confidant for 20 years. If these questions are answered, Americans will see there is a legit reason to be worried and that this woman should not be anywhere near the White House. 1 – What kind of relationship does Huma have with Saudi Arabian offical named Abdullah Omar Naseef? 2) Was Omar the founder of a charity in Saudi known as the Rabita Trust? 3) Following 9/11, did the US government identify the Rabita Trust as belonging on a watch list of groups that were funding and assisting with terrorism? These are pretty basic questions that deserve answers. Roger encourages us to put pressure on Hillary by any means, including Twitter, by telling her “answer the three questions about Huma.” Roger also states that he is not going to stop asking these questions until they are answered. Next Obama Forced Department of Homeland Security to do What for Muslims with Terror Ties?